When Radio Was is Radio Spirits' nationally syndicated radio program which is hosted by old-time radio expert Greg Bell. Tune in today and enjoy the best of old time radio! 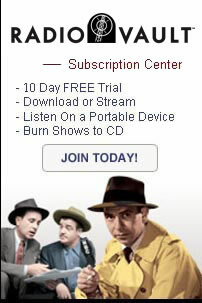 Click here to make a show suggestion or comment. Catch the buzz -- before the buzz catches you! 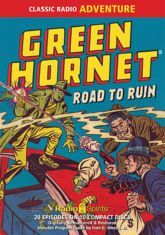 Britt Reid, daring young publisher, masks up against organized crime and urban corruption as The Green Hornet! Join our hero and his stalwart valet Kato for another collection of twenty classic adventures from the 1948-49 seasons, including several previously uncirculated episodes not heard since their original broadcast. 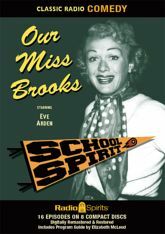 Connie Brooks (Eve Arden) rewrote the textbook on how popular culture looked at teachers -- with a fresh, funny, and always human take on the pedagogic profession. Come and study these twenty terrific episodes from 1954 - 1956. He's a smart tough guy�or a tough smart guy. 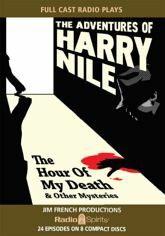 Either way, he's Pacific Northwestern private eye Harry Nile. From the imagination of Seattle-based writer-producer Jim French come twenty-four tense, exciting radio thrillers produced in the classic style by modern talent. The ultra-realistic crime dramas of Dragnet were tight, tense, and always on target. 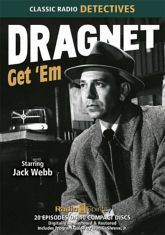 Guided by Jack Webb from its radio premiere in 1949 right through to the series' end, the medium's most memorable police procedural never cut corners in its meticulous recreation of crime, investigation, and punishment. A dive bar before dive bars were cool -- that's Duffy's Tavern. 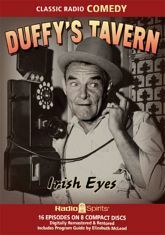 Radio's favorite Third Avenue watering hole was full of zany New York characters and A-List guest stars, all presided over by your genial master of malaproprial management, Archie himself (played to perfection by Ed Gardner)! 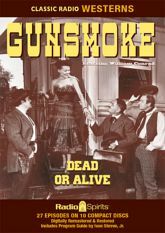 By the 1956-57 season, Gunsmoke had reached the peak of its dramatic power as radio's foremost adult western, with its powerful scripts and careful characterizations. William Conrad leads the cast as Marshal Matt Dillon, along with Parley Baer as Chester, Howard McNear as Doc, and Georgia Ellis as Kitty. Use the pulldown to find a Radio Spirits broadcast affiliate in your area!